Massaranduba (pronounced Ma-Sa-Ran-Doo-bah) is a hardwood native to South America. It bears the distinction of being one of the most beautiful and hardest woods in the world. One surprising fact about this natural hardwood is how well it performs under heavy load (bending strength) tests. 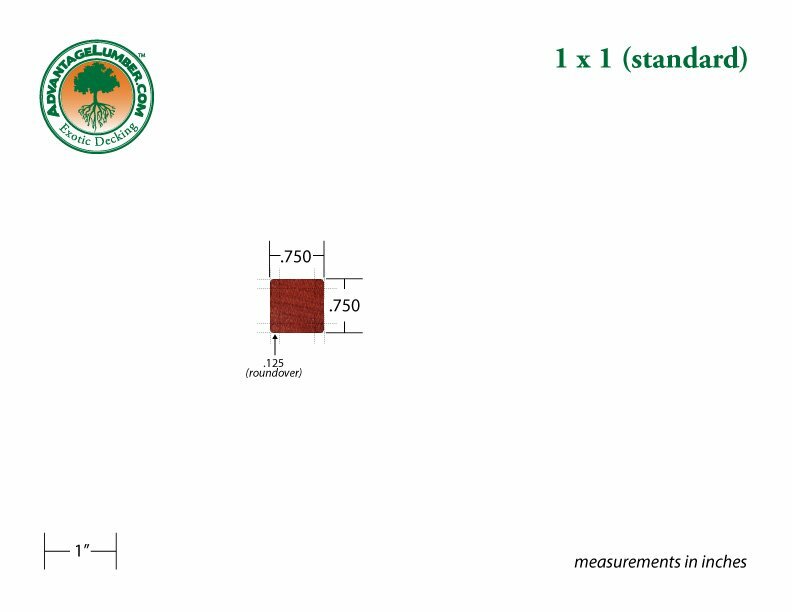 These tests revealed that, as a decking material, Massaranduba is twice as strong as California Redwood and is even stronger than Ipe decking. Sure, those technical statistics are impressive. But, the real driving force behind the popularity of our Massaranduba decking centers on one thing...that beautiful velvet red look. Many of our customers call us asking for California Redwood only to switch when they see the rich red look of Massaranduba. 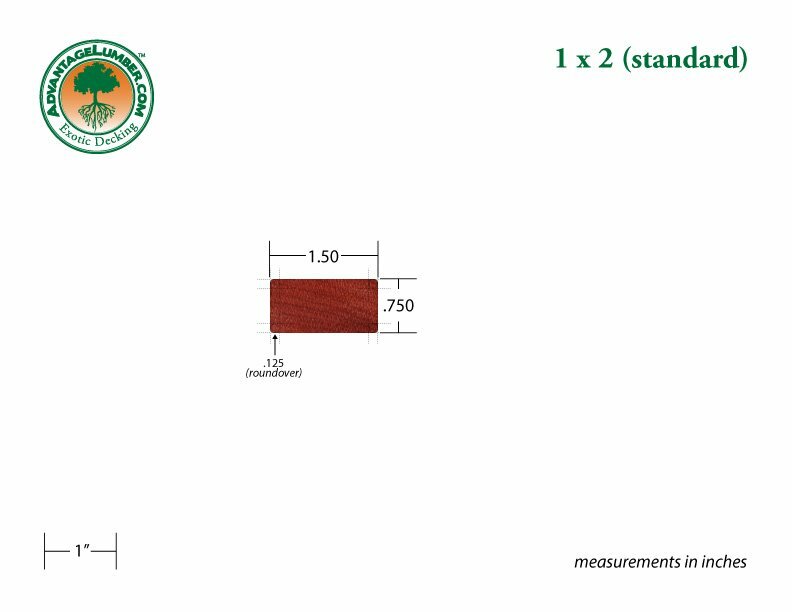 See for yourself how Massaranduba compares to Redwood decking. This is what Massaranduba looks like after it’s been oiled and allowed to age. Above is an example of a Massaranduba / Brazilian redwood decking profile. This example is of a 5/4x6 pregrooved Massaranduba deck board. A "profile" is a diagram of the end of a piece of lumber. 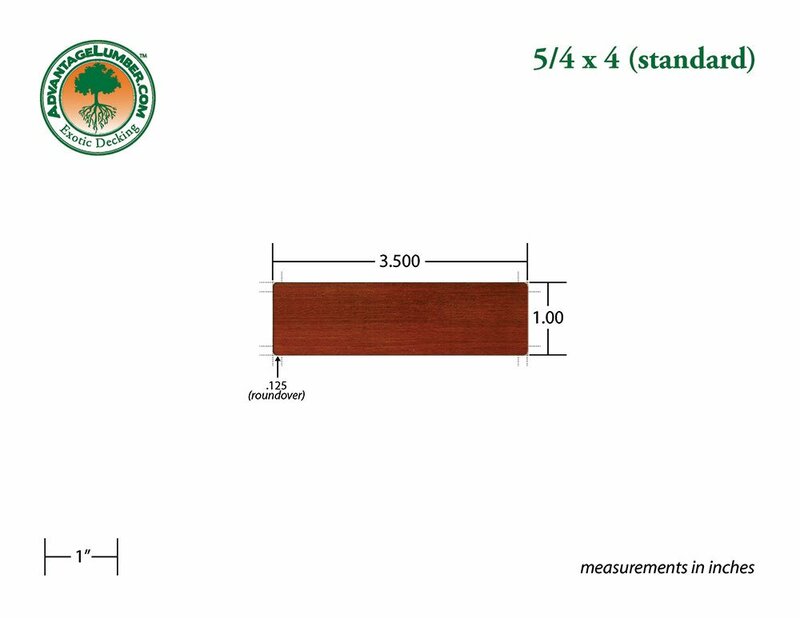 You can view more lumber profiles under each decking size below. on a profile to view a detailed drawing. Pregrooved on both edges for Ipe Clip® hidden deck fasteners. 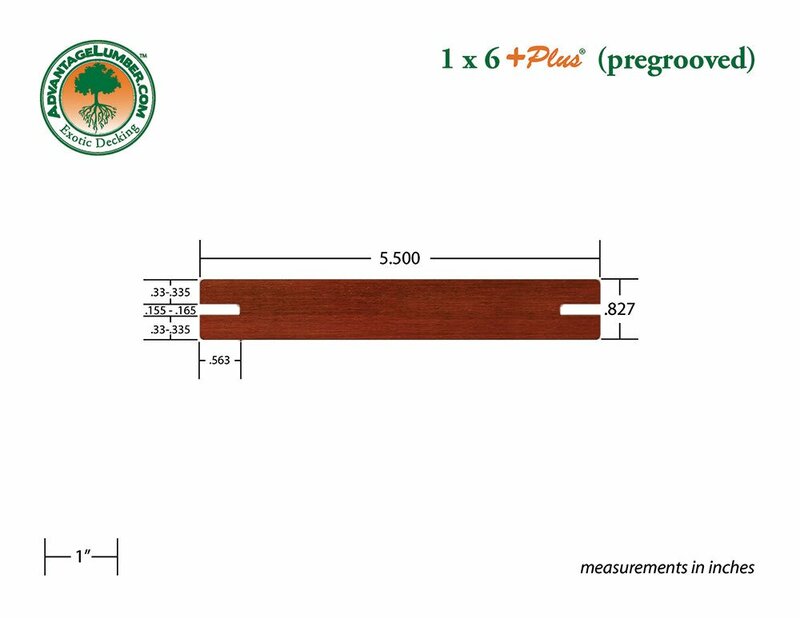 Pregrooved on one edge for Ipe Clip® hidden deck fasteners. 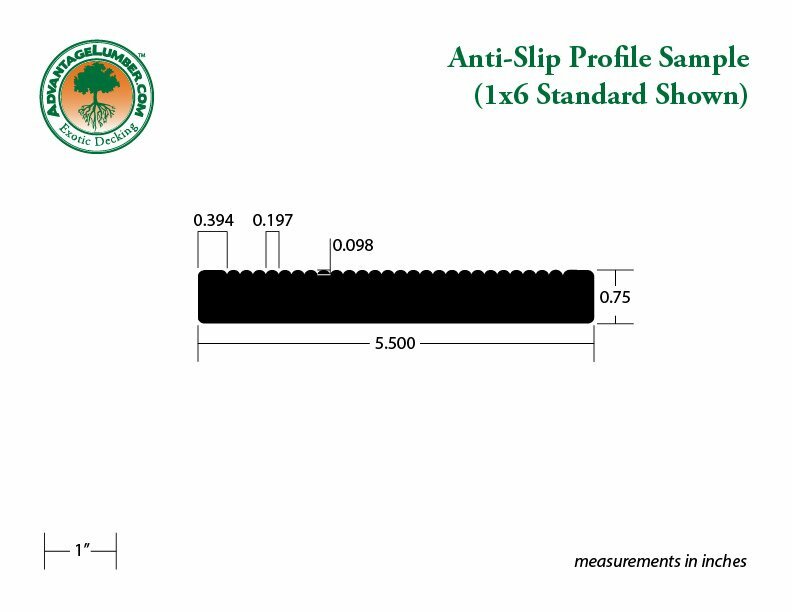 All decking profiles can be upgraded with an anti-slip surface at an upcharge of $1.50 per linear foot. Minimum order of $150. Add an additional upcharge of $0.10 per lineal foot for 8-14 foot lengths. Add an additional up charge of $0.80 per lineal foot for 15+ foot lengths. 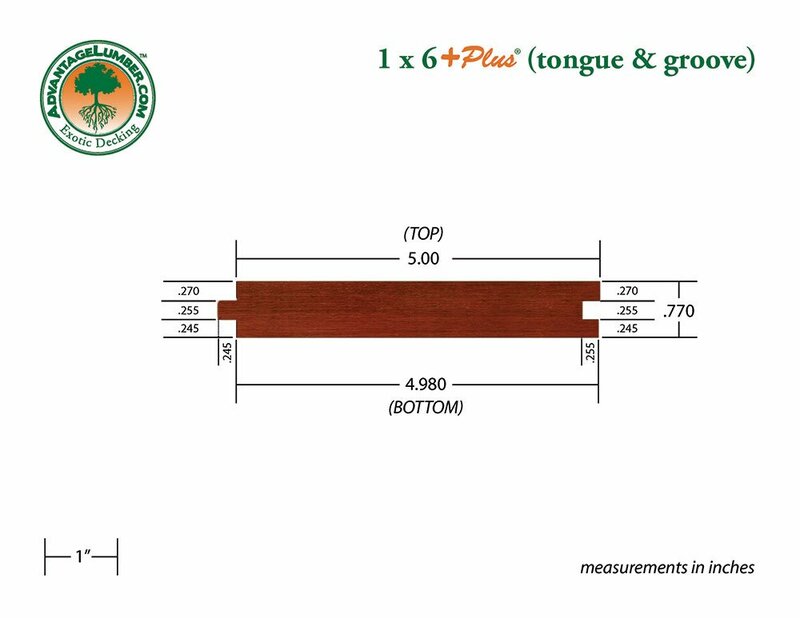 We ship Massaranduba decking worldwide!!! Discover why contractor Fermin Acevedo chose FSC® Certified Massaranduba from AdvantageLumber.com to transform this home in Miami, FL. 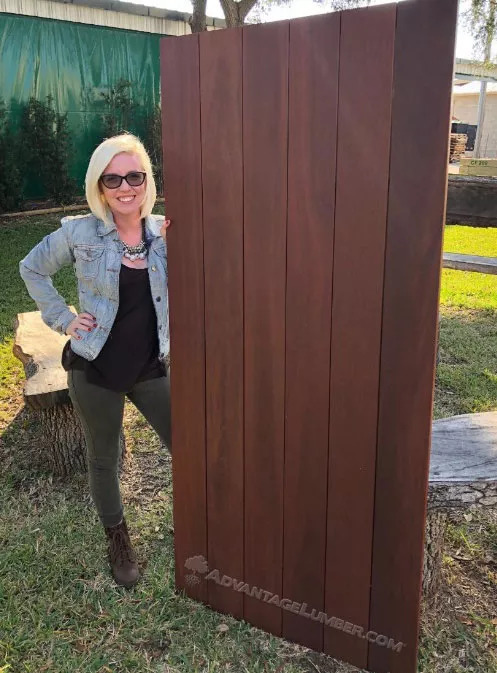 This project showcases the beauty of Advantage Massaranduba™ (also known as Brazilian Redwood) and our company's ability to supply sustainably harvested decking to your home or job site. 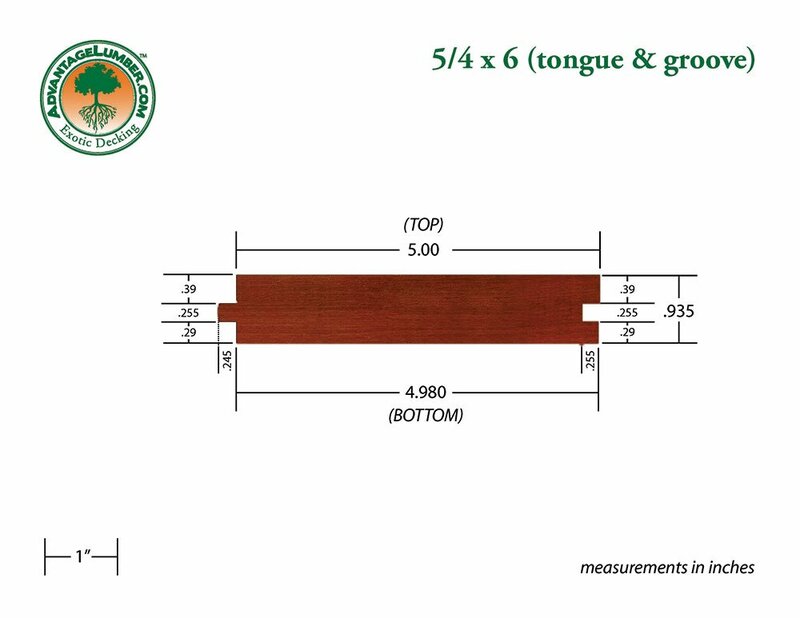 Interested In Buying Massaranduba Decking? Our Massaranduba "B" grade has defects such as knots, milling errors, pin holes and other irregularities. 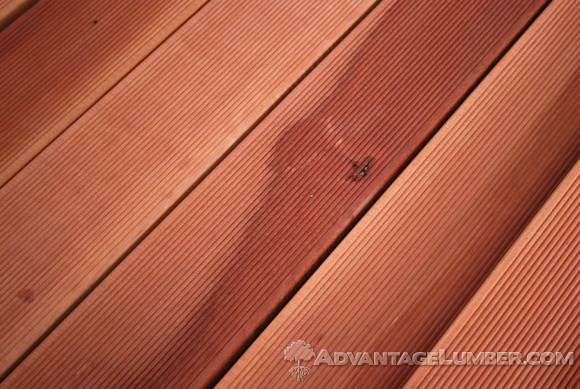 These defects can not be included in our standard clear Massaranduba Decking. But we are offering this B-Grade Massarandube to our customers at a drastically reduced price. B-Grade Massaranduba is a great material to use on many projects including andirondak chairs, flower boxes, horse stalls, etc. Check out the savings BELOW!!! Appearance Red to dark reddish brown. Straight grained and smooth. The color can be preserved using annual applications of a UV inhibiting deck oil. Varies considerably depending on grade. Color ranges from brownish-pink to reddish brown. This is a softwood that will requiring staining if you want it to have a color. Durability Massaranduba is a hard, heavy wood. Very resistant to decay and termites. Average lifespan of 30+ years Higher cost grades are more durable than most. Quick to weather and split. Treatment is required. Maintenance Very low maintenance with an average lifespan of 30+ years. Periodic staining and board replacement my be required depending on age, climate and use. Use the above Deck Calculator to calculate the square footage of your deck into linear footage of standard or pregrooved decking material. 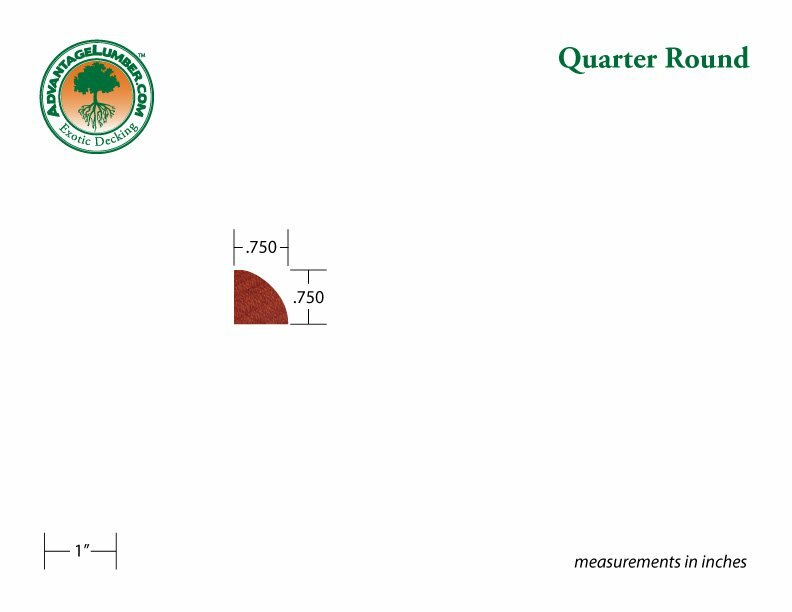 For more on lumber sizing be sure visit our lumber sizes page. 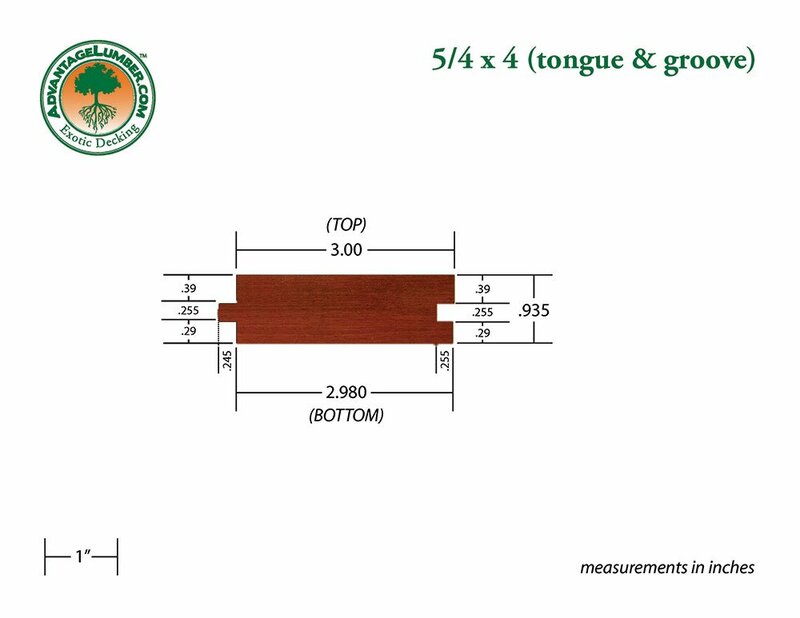 Use the above Deck Calculator to calculate the square footage of your deck into linear footage of tongue & groove decking material. 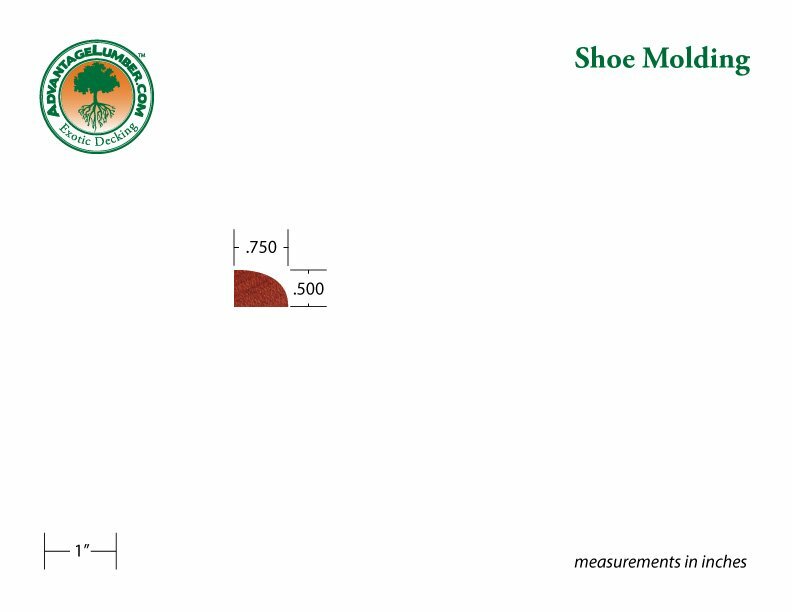 For more on lumber sizing be sure visit our lumber sizes page. An edge-mount deck fastening system made in the USA by DeckWise®. No surface screws showing! These clips are plolymer-molded and reinforced with a stainless steel insert. They are designed for use with ¾″, 1″, or thicker material. Each pack comes with high-grade 305 stainless steel screws with painted heads and a T15 torx drive. These are the best screws available for decking and are great for salt water applications! Learn more about the Ipe Clip® system. VOC Compliant. Specially formulated for use on Ipe and other exotic hardwood products, this finish is perfect for all the decking species that we offer. 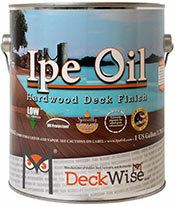 Ipe Oil™ offers excellent UV protection that will keep your deck as beautiful as the day it was installed. 1 gallon covers approximately 300 square feet. Learn more about Ipe Oil™. End sealer for coating end grain cuts. Approximately 1 quart for every 500 square feet of decking. The DeckWise® self-locking board-straightening tool offers 1,100 pounds of force. 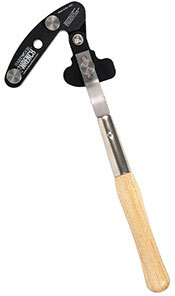 This made-in-the-USA tools will hold deck boards straight, leaving your hands free to install fasteners. It locks into place and provides much more bending power than other straightening methods. Learn more about the Hardwood Wrench™. T-15 Star Drive Tips to improve stripping resistance during installation. 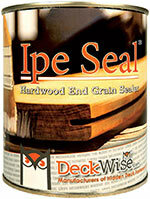 Auger Tips for smoother installation on hard and dense wood like Ipe. 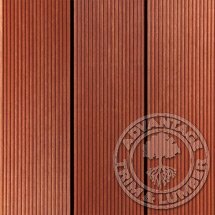 Compare Massaranduba Decking! - Compare the available hardwood deck options. Read the comparison here and then give us a Call (1.877.232.3915) . By any measure (hardness, strength, durability, appearance), our Massaranduba Decking is clearly a superior decking material across the board. Don't take our word for it, ask for a sample. 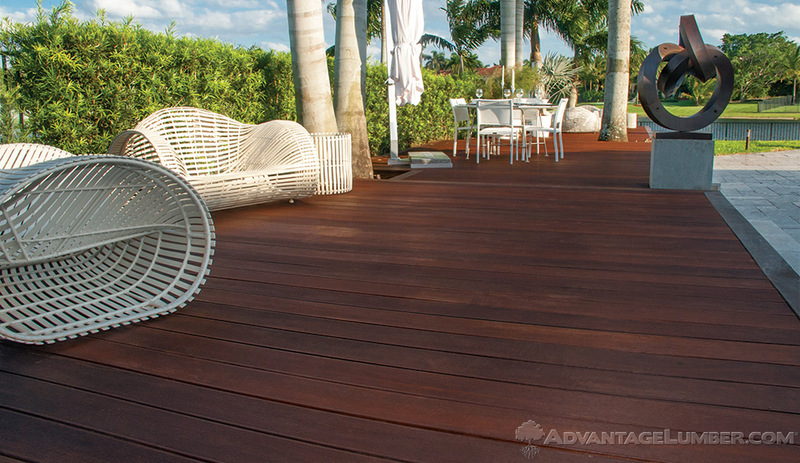 Our Massaranduba Decking speaks for itself! All Massaranduba Decking is not the same there are different grades available, Call (1.877.232.3915) one of our representatives today to learn the difference. Our mills in Brazil cut only the finest logs for our decking production.